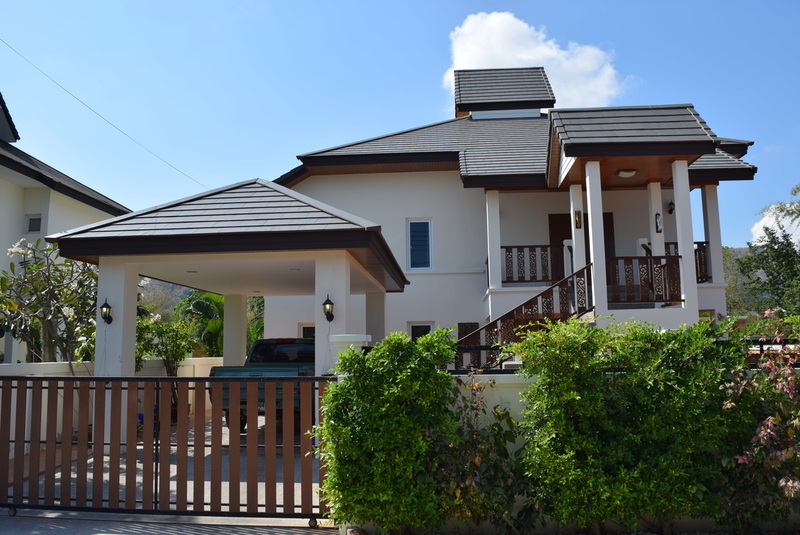 This lovely home is located off Soi 6 in the Bor Fai area just north of Hua Hin, only about 5 minutes from the Makro store. It was completed in November of 2014. Outside is a spacious 412 square meter tiled garden with a small area to grow flowers or vegetables. There is a 8 x 3.5 meter salt water swimming pool, covered car port and a lounge area. Inside there are two floors, four bedrooms (three with air con), an office room, two living rooms and a kitchen by Kvik from Denmark, which cost the owner 400,000 baht to install. The home comes fully furnished as shown. The yearly maintenance fee is 10,000 baht, which covers the security guard, rubbish pickup and street cleaning. 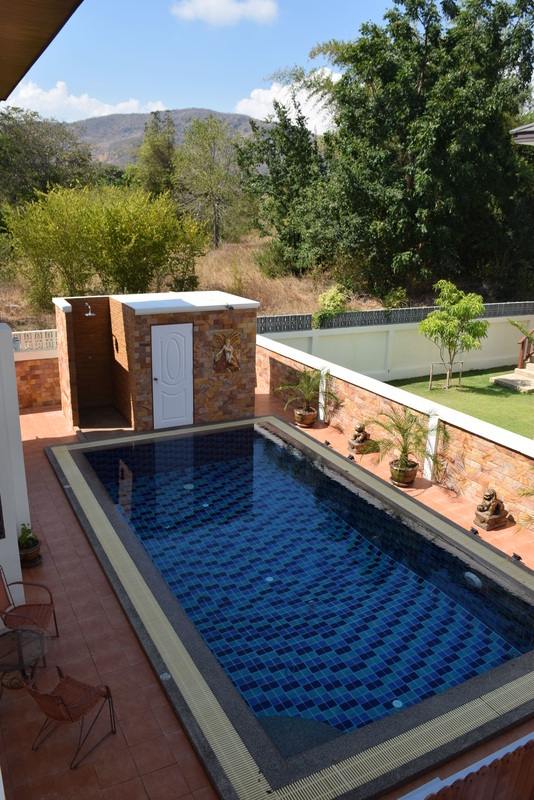 The owner has a private pool maintenance service which costs 900 baht per month.